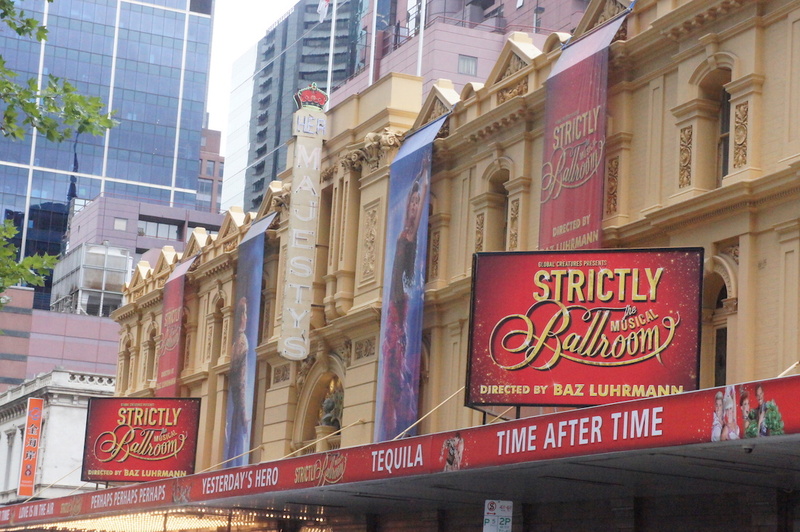 The rags and grime of Les Misérables have been cast aside at Her Majesty’s Theatre, Melbourne prepares for opening night of Strictly Ballroom the Musical. 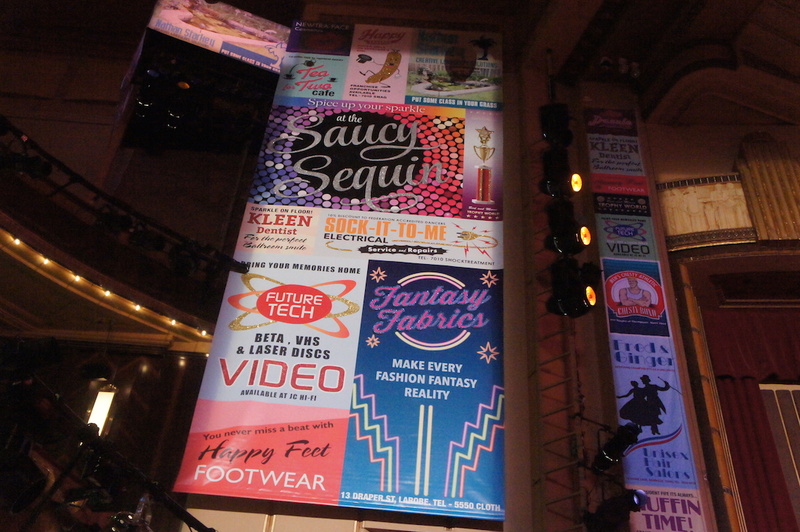 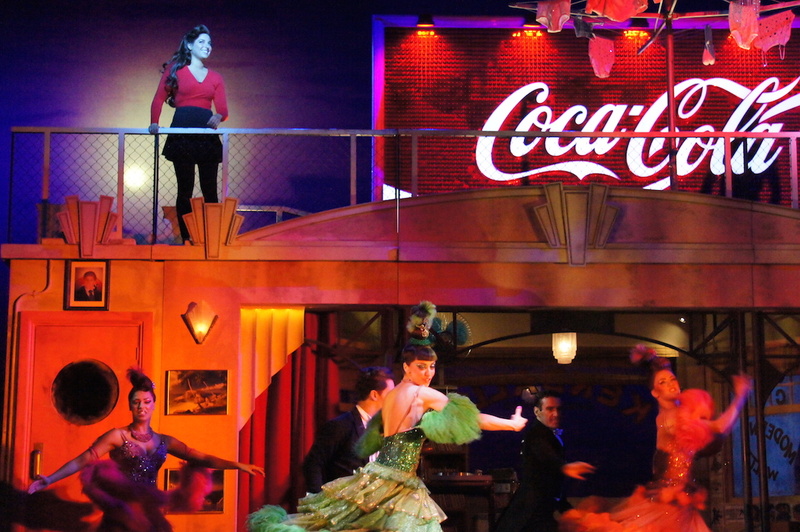 The auditorium is decorated in the style of a Dance Sports arena. 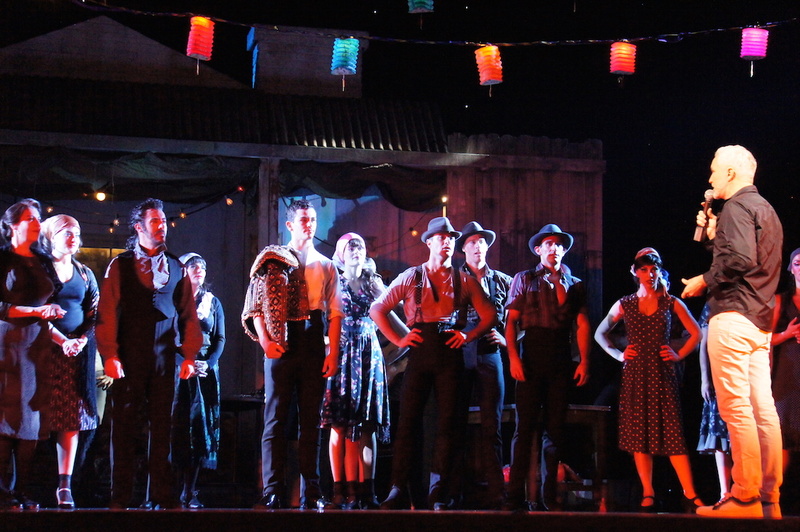 Global Creatures CEO Carmen Pavlovic spoke of the exciting challenges of staging new work compared to re-mounting productions from Broadway and the West End. 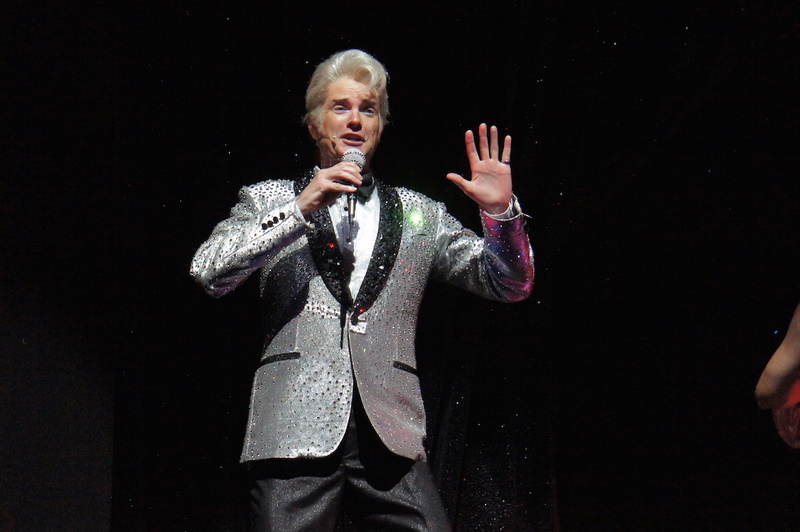 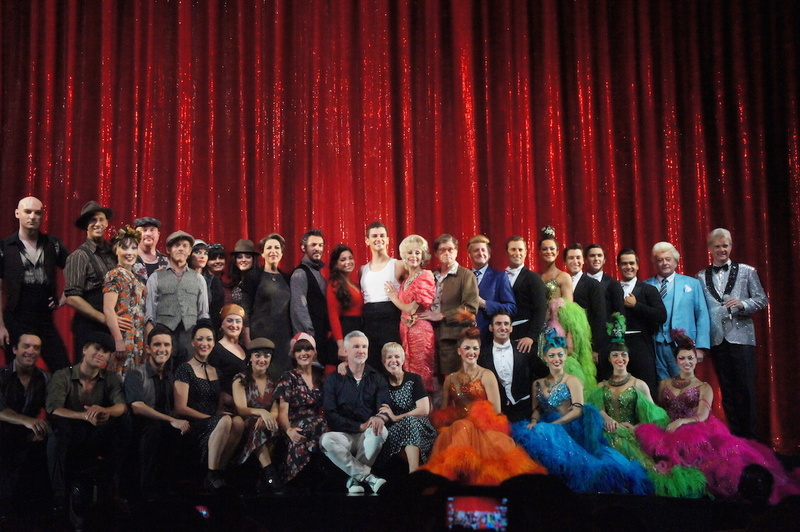 Strictly Ballroom creator Baz Luhrmann spoke about the background for the show and his love for Melbourne. 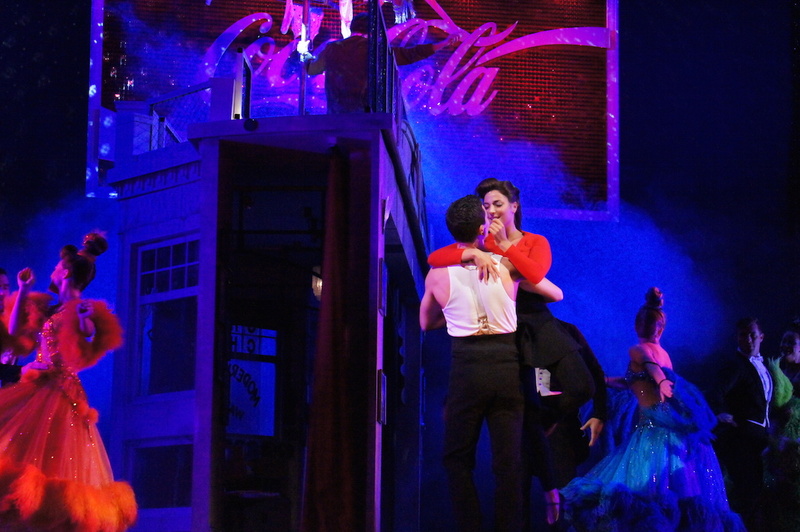 The first number performed was the Samba, which is introduced by JJ Silvers, played by Mark Owen-Taylor. 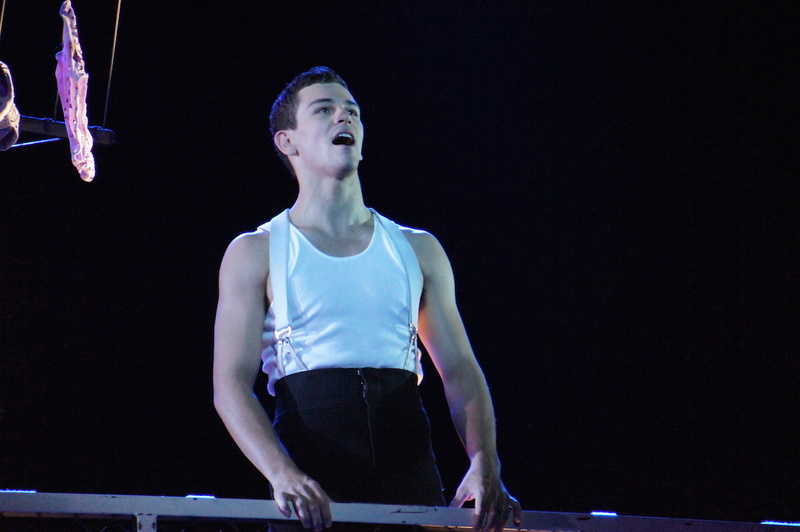 The talented cast includes Melbourne favourite Rohan Browne as Ken Railings. 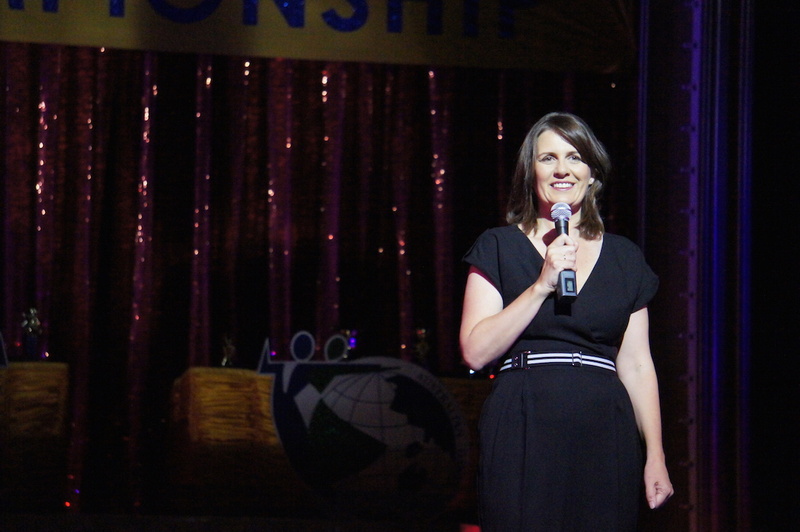 Shirley Hastings, played by Heather Mitchell, is proud of her students from Kendall Dance Studio. 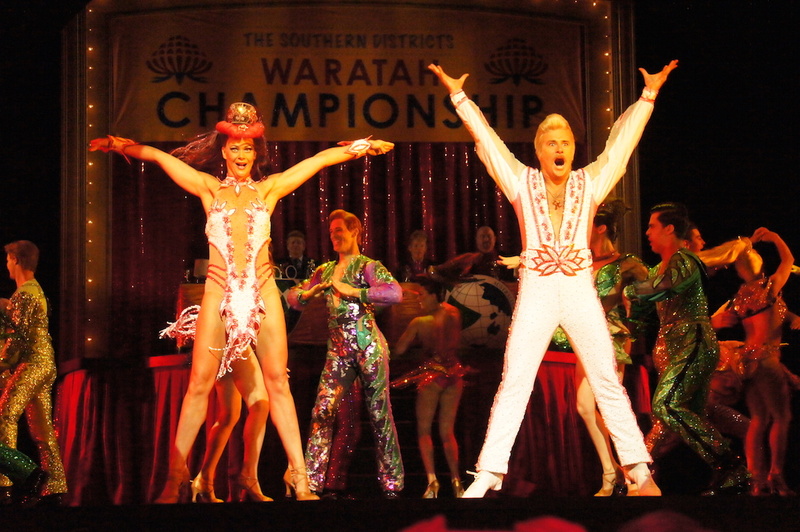 Luhrmann was joined on stage by wife and creative partner Catherine Martin. 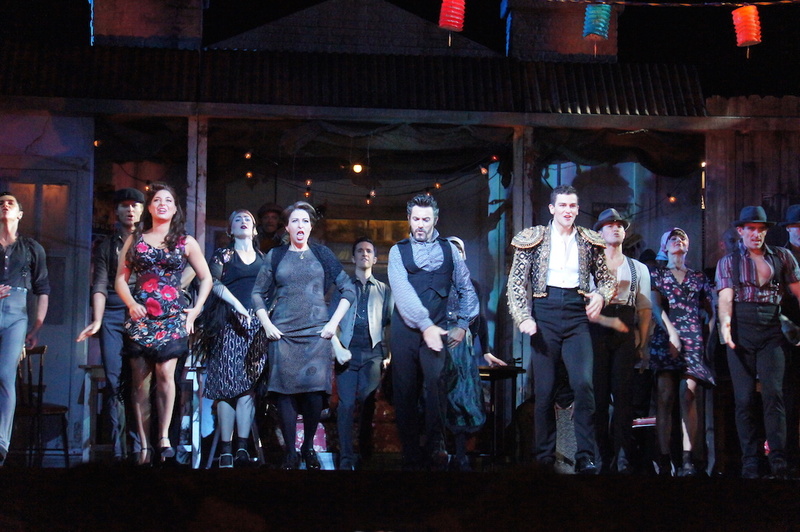 “Time After Time” dissolves from an intimate rooftop scene to a fantastical dance number. 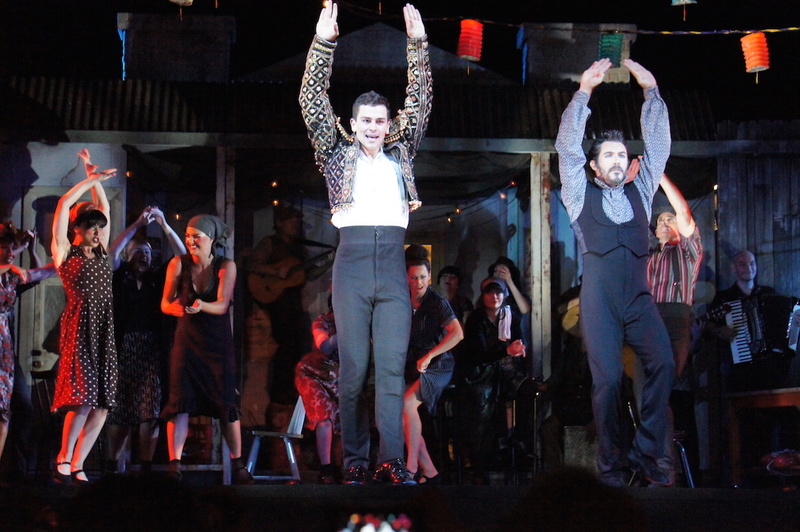 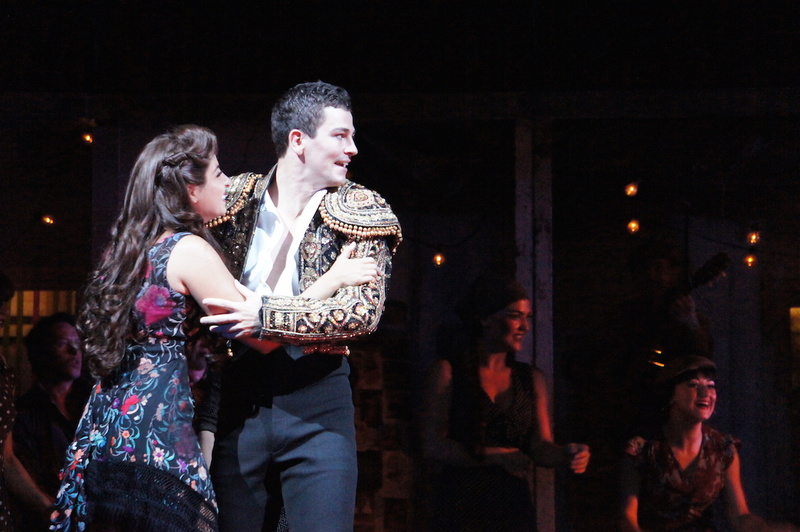 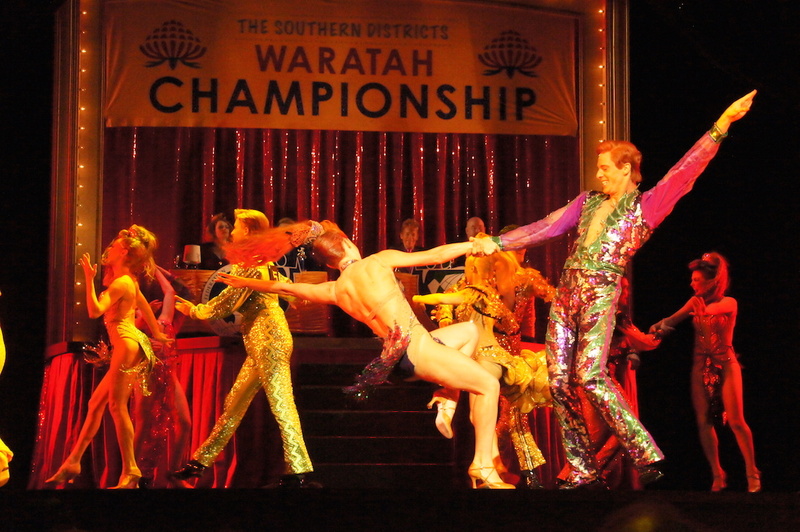 Thomas Lacey plays Strictly Ballroom’s hero, Scott Hastings. 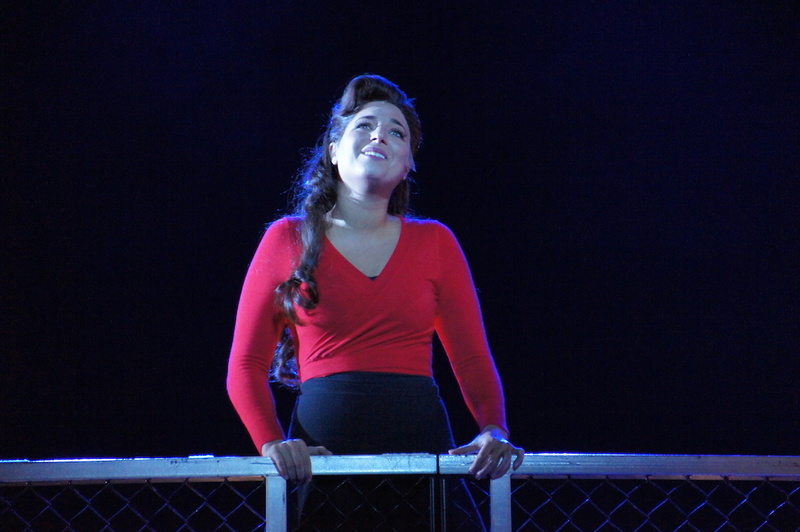 Phoebe Panaretos plays Fran, just Fran. 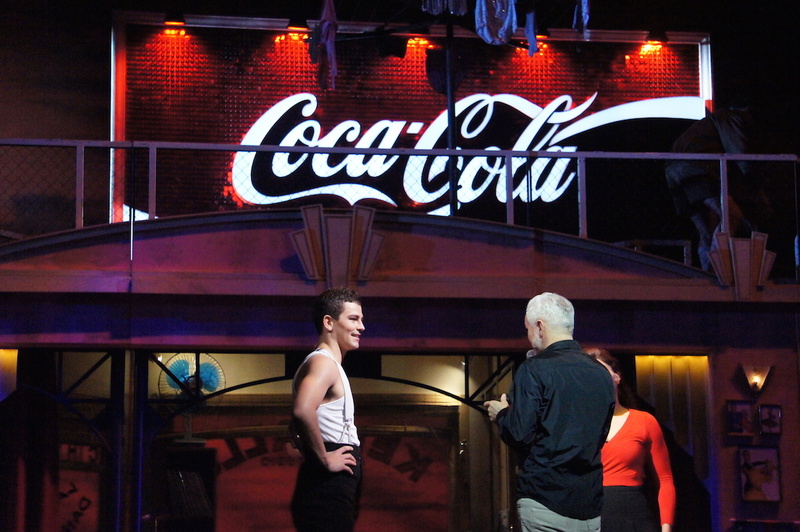 Drew Forsythe plays downbeat dad Doug Hastings. 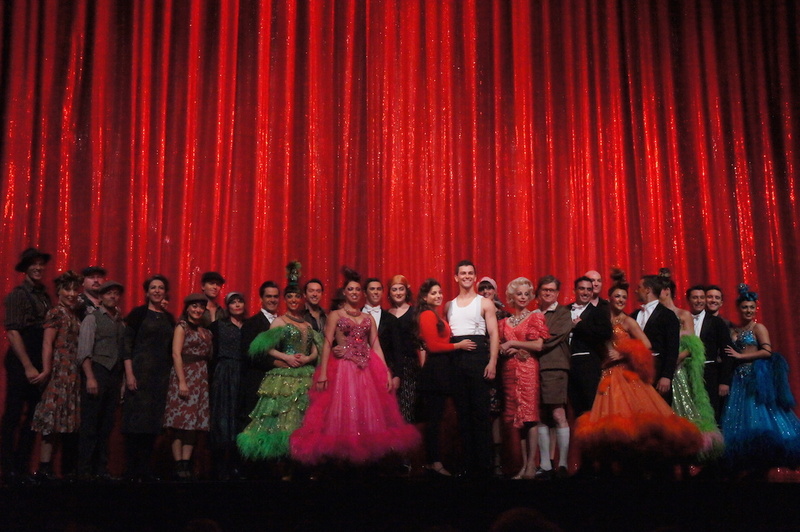 The full cast in front of the signature red curtain. 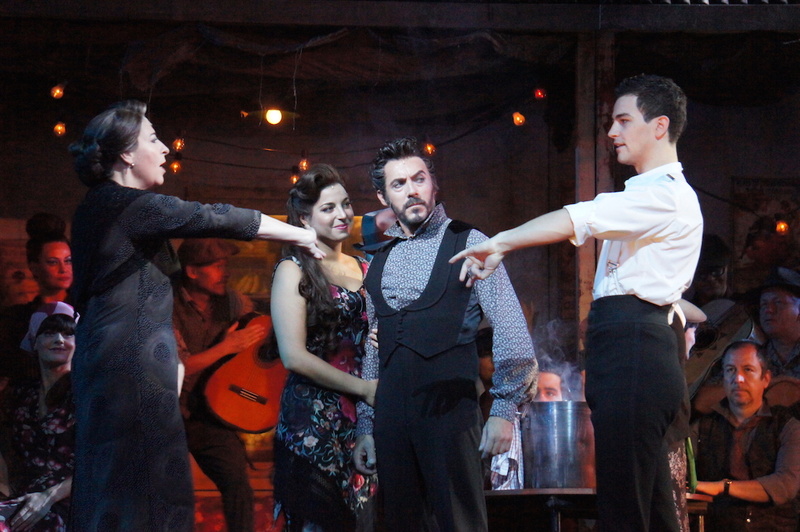 The company also performed “A Life Lived in Fear.” Fernando Mira plays Rico, and Natalie Gamsu plays Abuela. 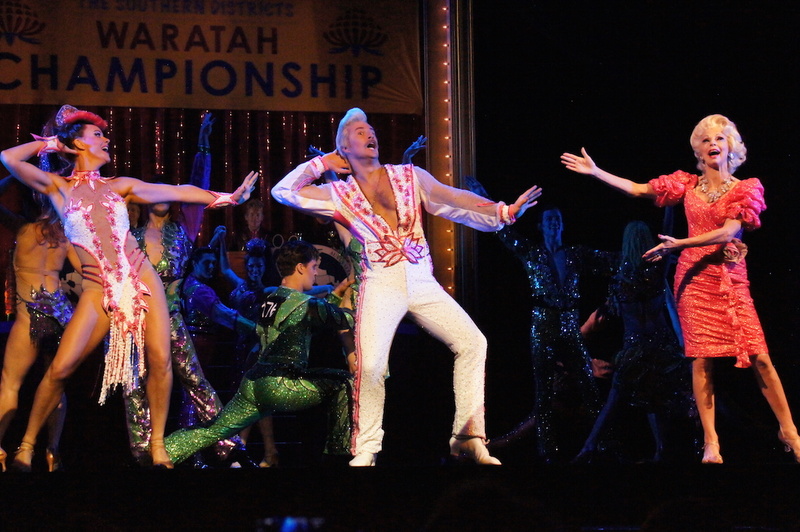 Luhrmann had nothing but praise and admiration for his hard working cast. 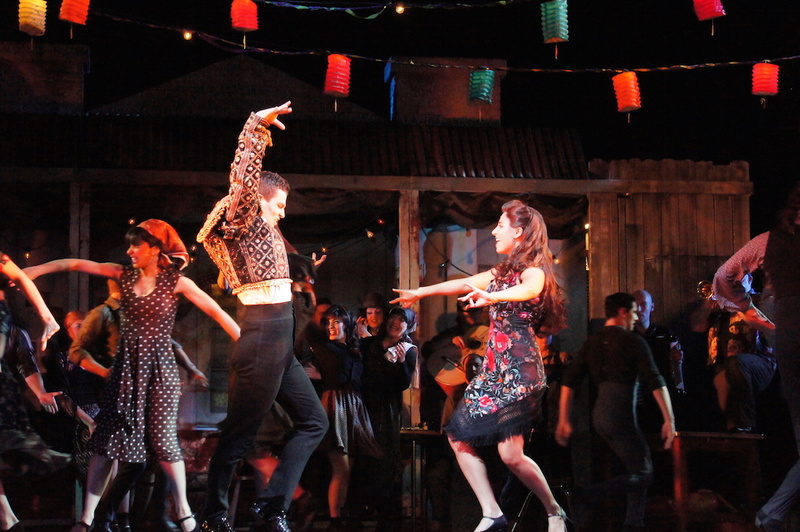 Official opening night of Strictly Ballroom is this Saturday, 17 January 2015. 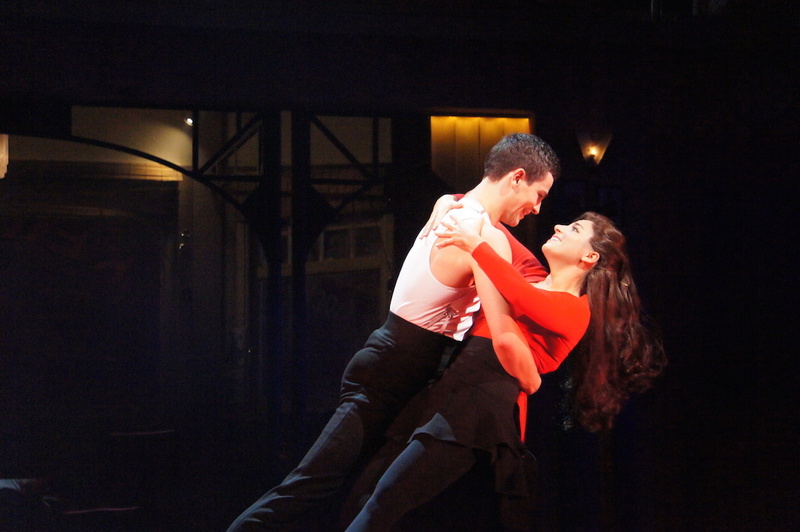 Click here to view Melbourne rehearsal photos of Strictly Ballroom.